During each Silver Spurs Rodeo in Kissimmee, the Silver Spurs Club’s Quadrille team will perform in between the rodeo events, displaying their horsemanship skills. Otherwise described as “square dancing on horseback,” the Quadrille performances have become a very popular event between locals and tourists alike. However, little do people know that Quadrille is what helped the Silver Spurs organization form. On a cool, Saturday night in May 1940, a group of young ranchers from across Osceola County came together for a barbecue held on the ranch of Geech and Connie Partin. While bonding over quality steak and fellowship, they found their common interests in rodeo-related activities and horsemanship. From there, they rode together regularly, meeting on one another’s ranches and performing Quadrille. It wouldn’t be until January 1941, when Spessard Holland was elected governor of Florida, that this group of friends would gain statewide publicity through their performance during his inauguration parade, that they would ultimately form the Silver Spurs Riding Club. 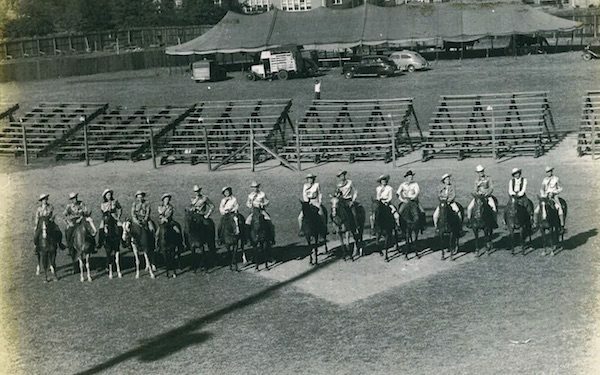 Throughout the early 40s, the Silver Spurs Riding Club would go on to perform in Moultrie, Georgia, participate in the state Kiwanis Convention in Orlando, and ride in the Orange Bowl Parade in Miami. In 1942, the riding club began to expand their performances from just celebrations and parades to fundraising for local nonprofits or charities to the benefit of Crippled Children, the American Red Cross and the Army-Navy Relief Show. Seeing the positive impact by the funds their performances brought in and the reaction on the audience’s faces ultimately led to the formation of the Silver Spurs Rodeo in 1944. During their downtime and leading up to a Silver Spurs Rodeo performance, the peewee, junior and adult Silver Spurs Quadrille teams practice weekly to not only put on a good show but also to have fun doing something they love with their friends and family. 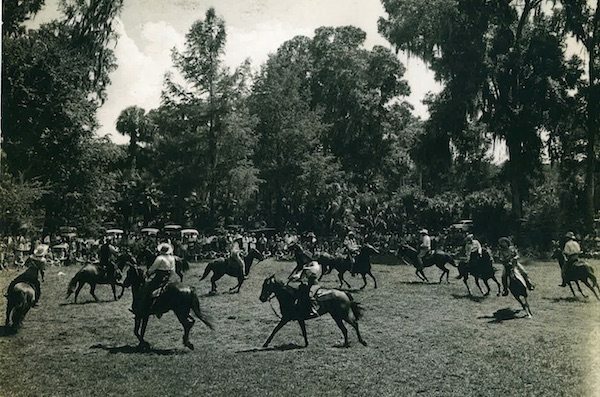 For many Silver Spurs members, ranching families, and citizens in Kissimmee, the Silver Spurs Quadrille team is a longstanding Osceola County tradition for newcomers to discover and for city natives to relive a piece of history. You can purchase tickets at the gate on the day of the rodeo for the same prices. For information about other events at Osceola Heritage Park please visit www.ohpark.com. © 2016 MESH. All rights reserved.